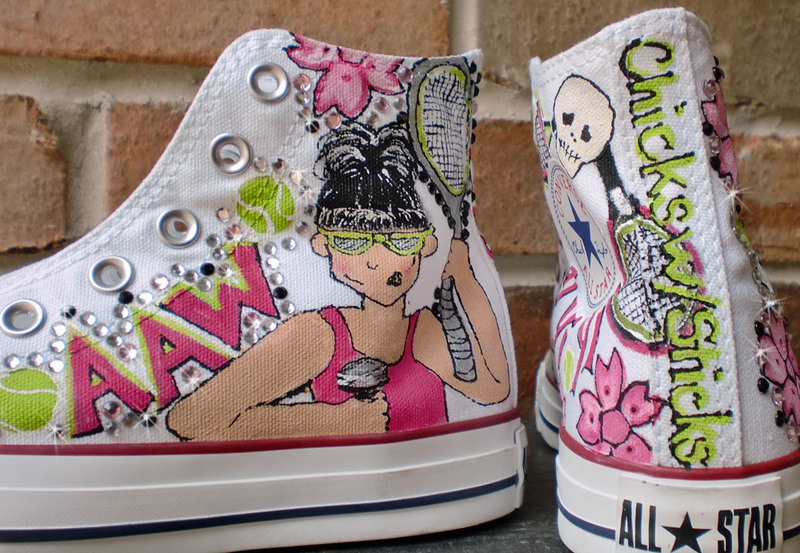 This listing is for a pair of Converse All Star Hi Tops that are painted with a tennis sort of theme on them. 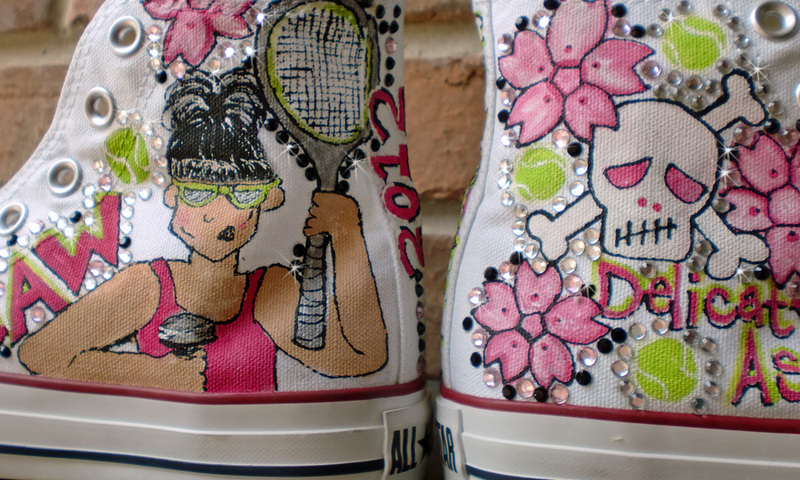 These were a custom request that I had received, they have the tennis team name on them, initials and various little pokes of fun here and there. 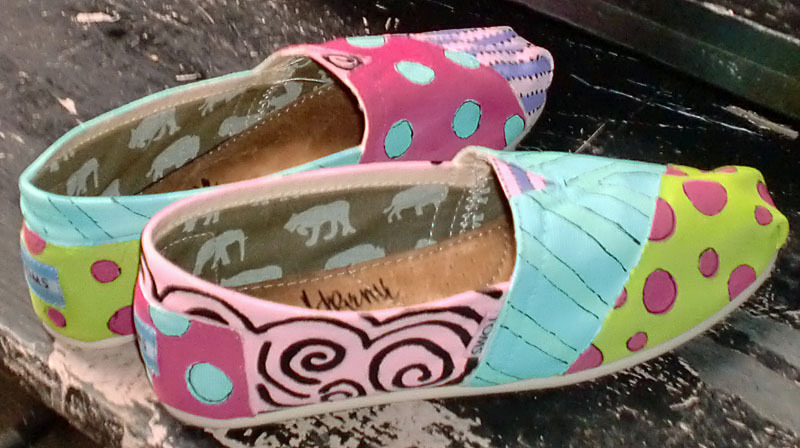 I can paint some for you, just like these, or you tell me how you would like them changed up for you. I had added stones to these as requested but optional. 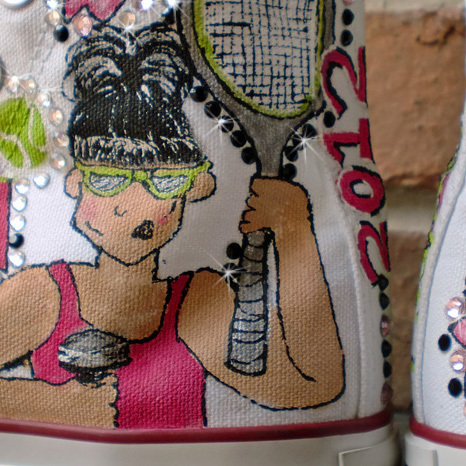 They were a gift for a 50th Birthday, you can have them painted just for you personalized the way you want them! 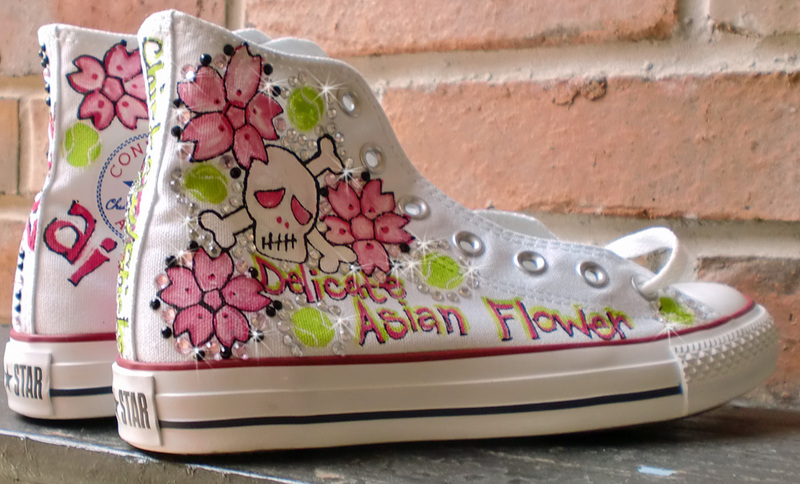 Pretty Asian Style flowers mixed with the skulls are a super fun combo too. 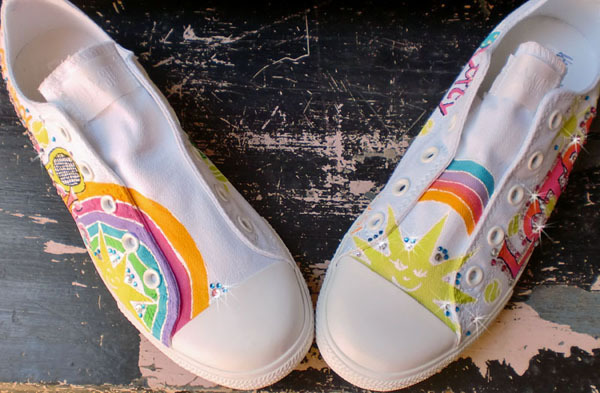 This listing is for a pair of Converse Slip-ons that are painted with another tennis theme on them. These were a custom request that I had received, they have the tennis team name on them, initials and various little pokes of fun here and there. 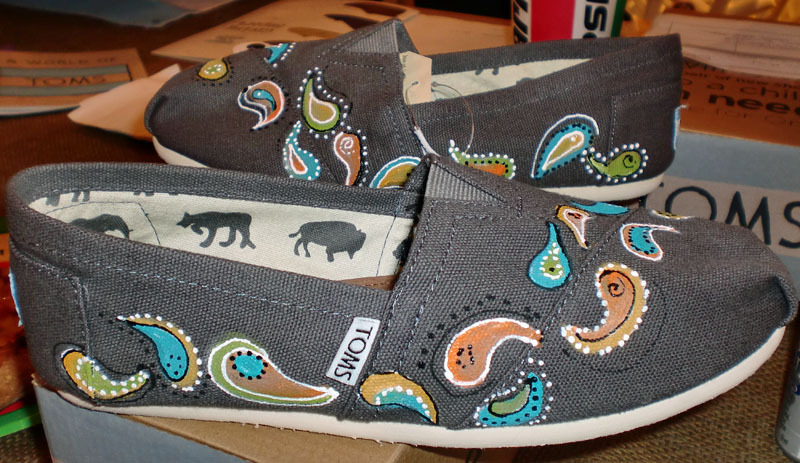 I can paint some for you, just like these, or you tell me how you would like them changed up for you. 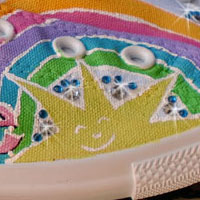 These have sunshines, rainbows, a racket and tennis balls. 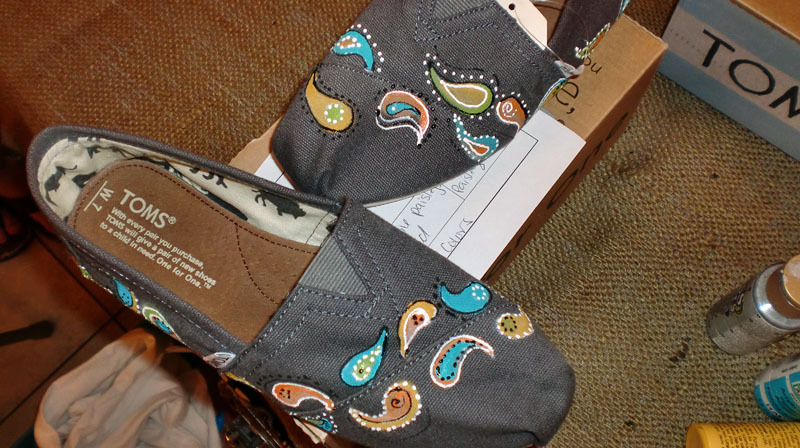 They were customized to my clients specifications complete with crystals. I can customize this design for you with your initials, name, team name, however you would like. 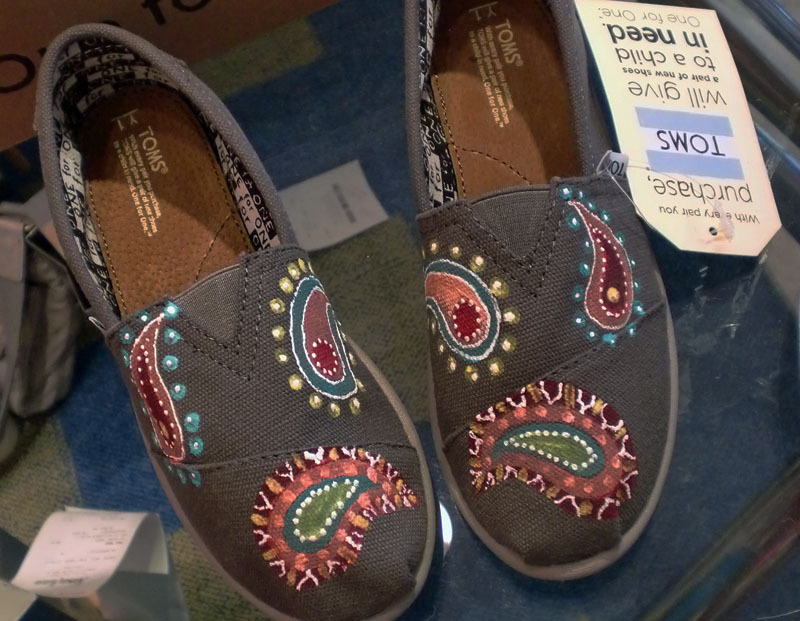 Style of shoes is subject to availabilty as styles are always changing. 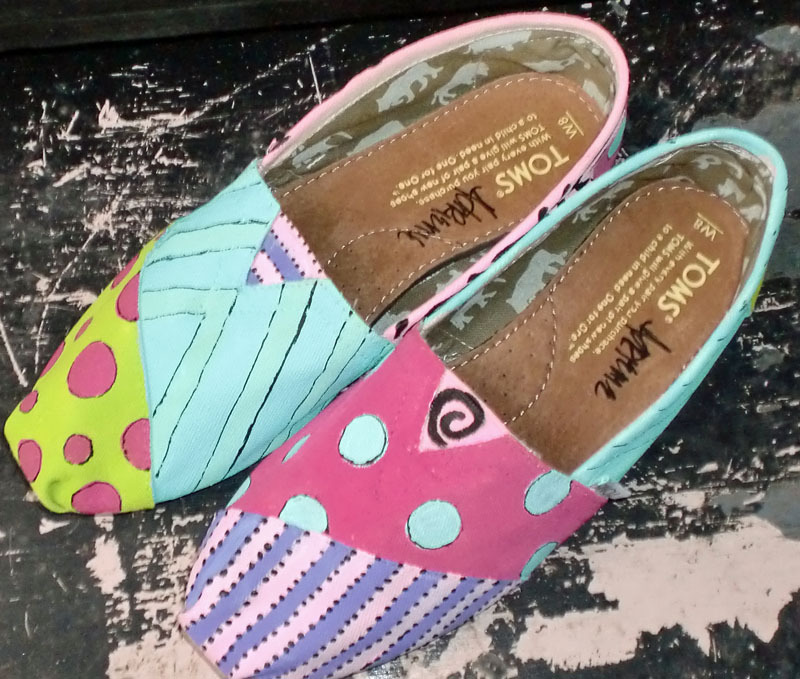 I started Painting TOMS in 2011 and I am actually a TOMS artist for their Style your Soles events. My designs are 100% original just for my 100% original customers! I like to mention also that while I picture my designs here for my clients to choose from, you can customize your TOMS any way you would like. Email me with your ideas and I can send you a price quote for your custom design.